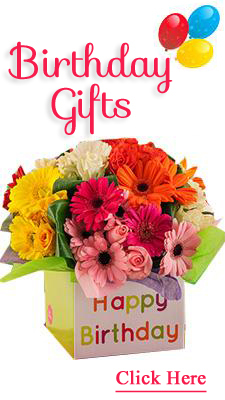 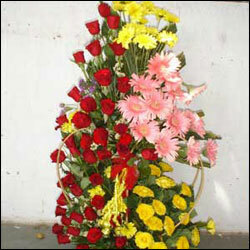 Convey your heartly feelings to your dear one by gifting this beautiful flower arrangement with 100 red roses. 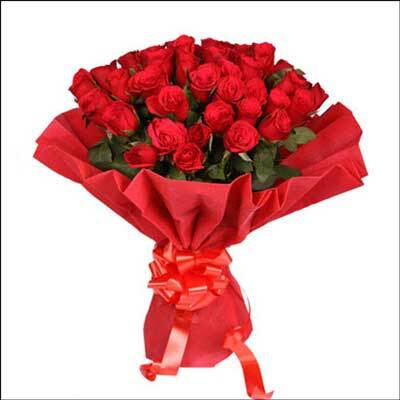 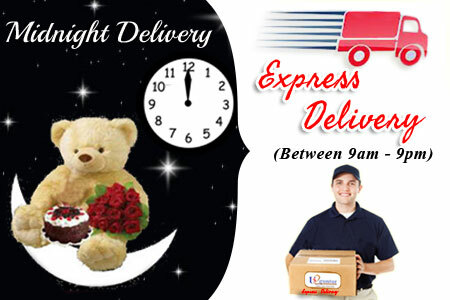 999 Red Roses flower bunch to impress your dear one. 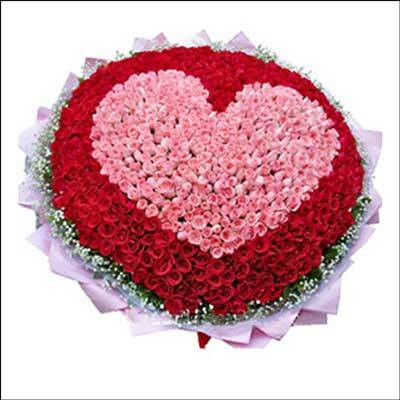 999 Heart shape Pink and Red Roses Flower Arrangement. 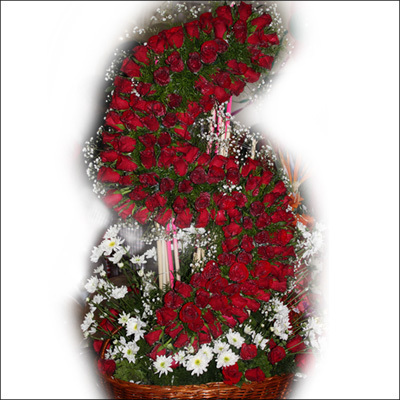 Beautiful Grand arrangement with 90 red Roses is just to convey heartly feelings. 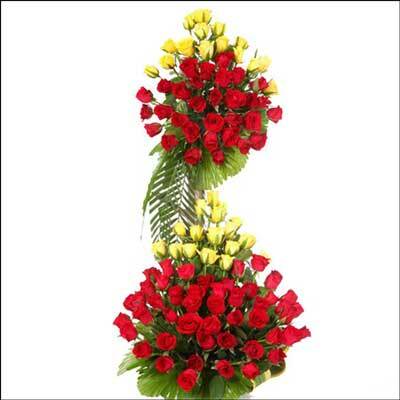 Beautiful Eye soothing grand flower arrangement with 80 Red and 40 Yellow Roses. 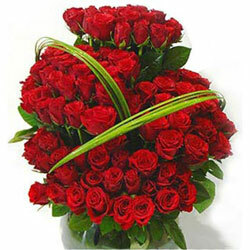 Dazzle your someone special with this stunning arrangement of 40 White roses & 10 Red roses. 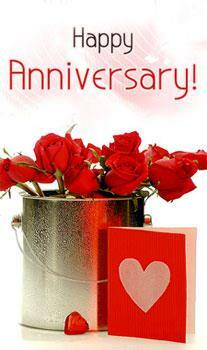 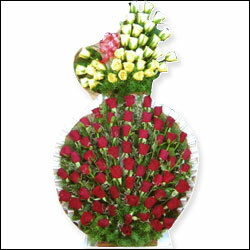 Splendid arrangement of 66 red roses in heart shape is sure to remind her/him "Its your day". 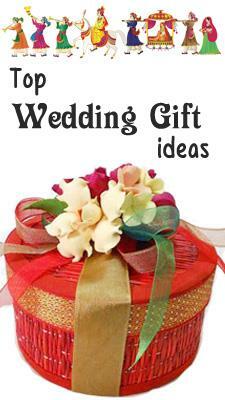 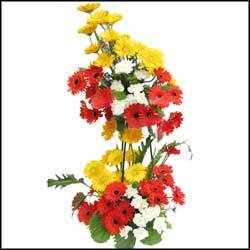 Send this arrangement and make their day more memorable. 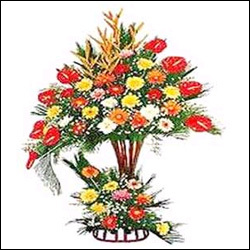 This stunning arrangement is a true and perfect representation of nature's richness.A complete exotic affair with 80 assorted flowers like Gerberas, Roses, Glades, and Carnations. 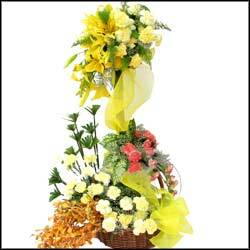 What a marvelous arrangement! 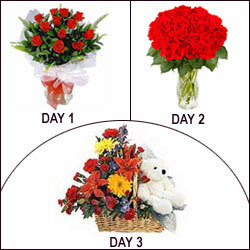 This is sure to impress him/her. 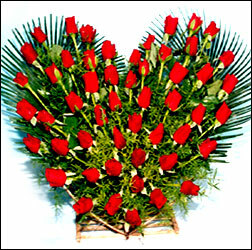 Send this beautiful heart shape arrangement of 333 Red Roses to steal one's heart. 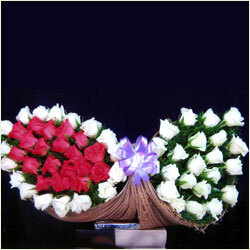 Red stands for love and White stand for purity. 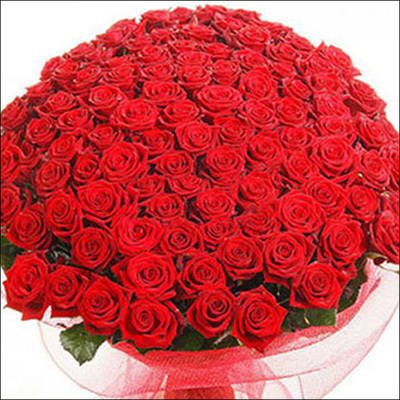 Combination of two will express of your pure love on your loved ones.100 Red & White roses are arranged specially for someone special. 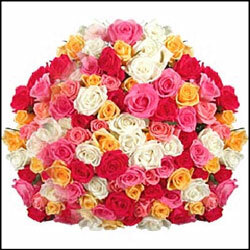 Send this adorable arrangement of Red roses surrounded with Pink Roses and your someone special will think you are just so sweet.Total flowers 100. 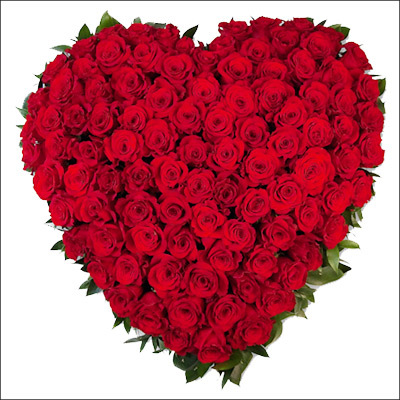 Steal the heart with this stunning heart shape arrangement of 100 Red Roses. 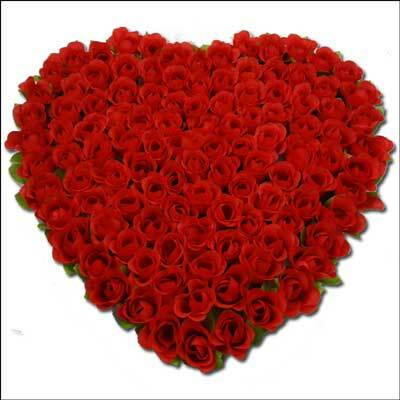 Get ready to enjoy the showers of love. 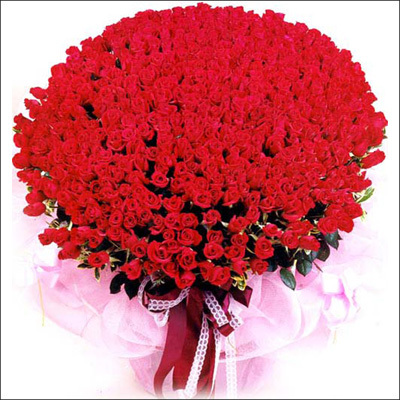 Echo your love on queen of your heart with this extravagant 100 Red roses Queen of heart arrangement. 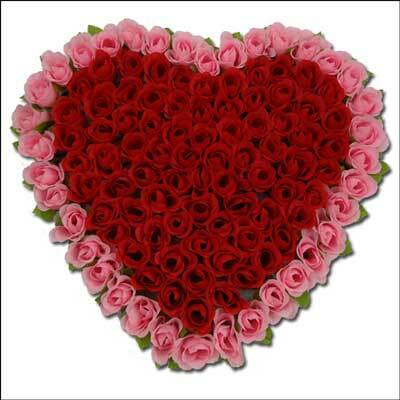 What a classic expression of affection. 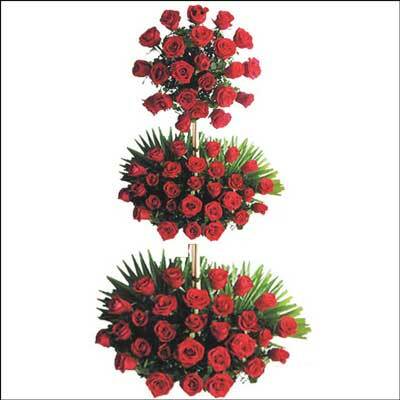 The simplicity of red and white roses (80)is the perfect way of expressing everlasting love. 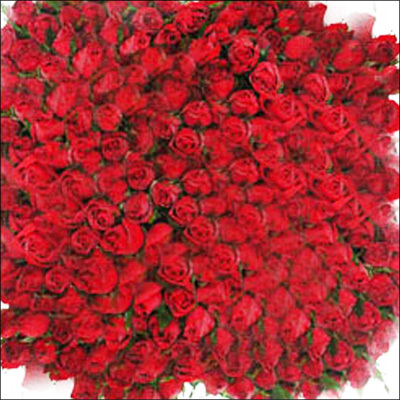 Longing to see miles of smiles on your admirer face.Then just go for this grand arrangement (around 4 feet) of lovely 100 red & Yellow Roses in special way. 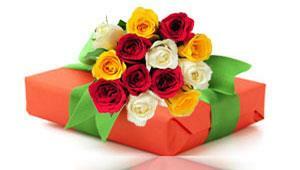 Roses express our deepest emotions perfectly. 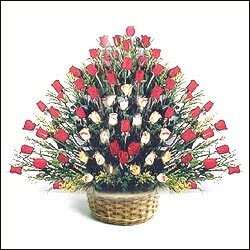 Be it on any occassion,make this adorable 150 Mixed Roses arrangement an ambassador to echo your love on that someone special. 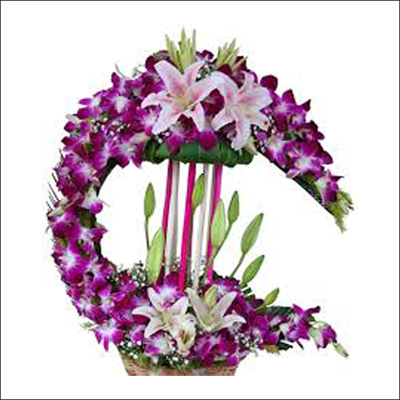 Give a royal touch to someone day with this gorgeous arrangement of 100 seasonal Flowers and floral grass, arranged in an exotic stand. 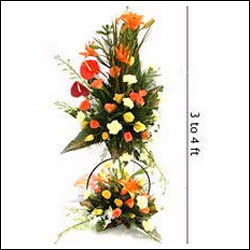 Beautiful flower arrangement of Mixed Gerberas and Carnations of 3 feet height is just enough to greet your beloved on this special occasion. 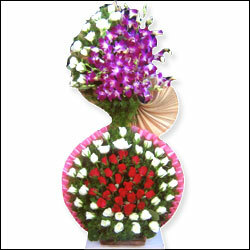 What a mind blowing arrangement! 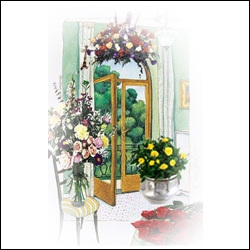 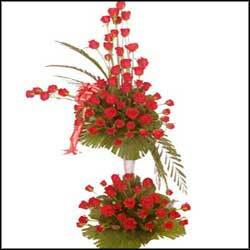 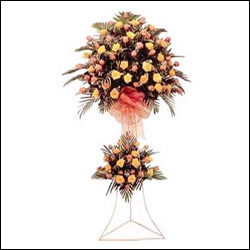 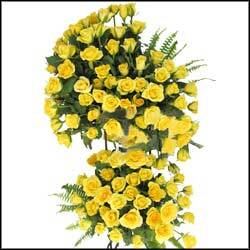 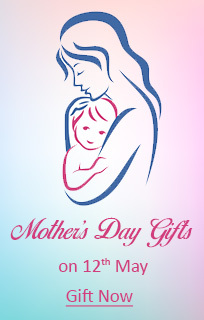 100 seasonal exotic Flowers (3 to 4 feet) arranged in special stand is sure to swing her heart with love pride.